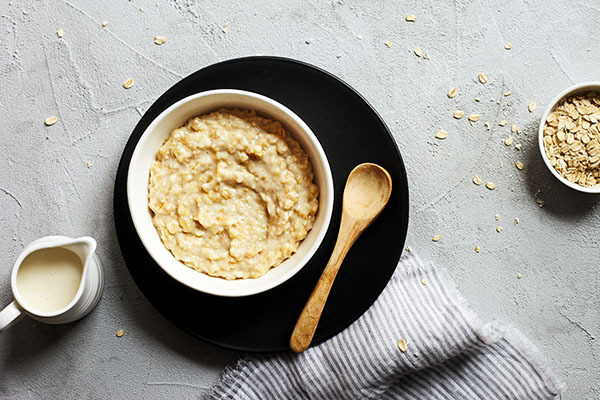 There’s a reason oatmeal is a classic breakfast food: It’s easy to make, comforting, and a great way to nourish yourself for the day ahead. 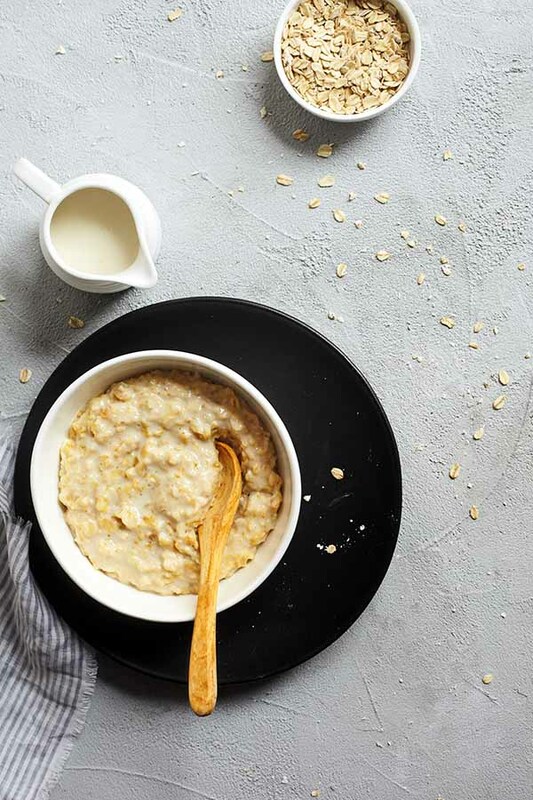 This recipe for Almond Milk Oatmeal is a good source of both soluble and insoluble fiber, so it will help keep you full for hours. And while oatmeal on its own is healthy, what you put in and on your oatmeal is also important. Almond milk is a great way to add some “indulgence” to this dish without unnecessary sugar. For the creamiest results, use almond milk as the only liquid. For a lighter version, you can substitute some of the almond milk for water instead. Either way, the results will still be delicious! If almond milk isn’t your thing, you could use dairy milk or other plant-based milks, such as soy, cashew, coconut, or hemp. 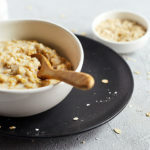 Cooking oatmeal with almond milk gives it richness and extra nutrition. Bring almond milk and salt to a boil in medium saucepan over medium heat, stirring frequently. 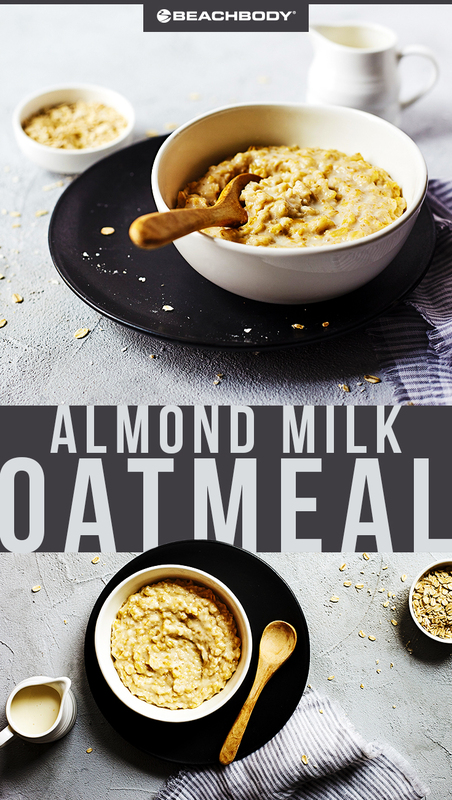 • You can substitute 1 cup water and 1 cup unsweetened almond milk for 2 cups almond milk if you want a lighter version of this oatmeal. • This recipe can also be microwaved easily. Place almond milk and oats in a large microwaveable bowl. (Make sure your bowl is big enough that the oatmeal doesn’t boil over.) Cook for 2 minutes on high. Stir oatmeal. Cook an additional 2 minutes. Stir oatmeal. Cook an additional 2 to 3 minutes if needed. Makes a great FFC as part of breakfast.